Hiring a contractor for home renovations can be overwhelming, especially if this is the first big project you’ve ever taken on. 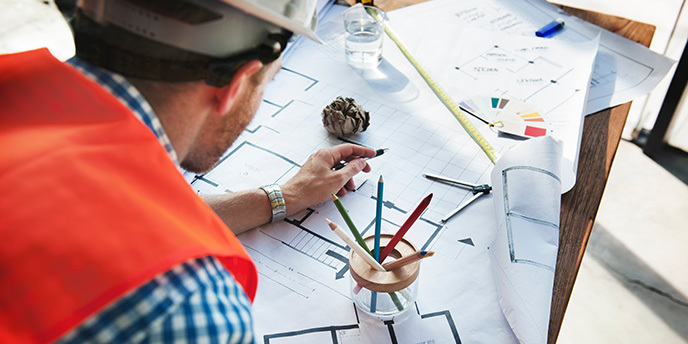 If you’re unsure where to begin, we have a helpful checklist full of tips that will show you how to find a good contractor, including what questions to ask and how you can protect yourself throughout the process. The first step in finding a good contractor is to start with referrals from family, friends and neighbors. Beyond word-of-mouth recommendations, researching professional organization directories, references and reviews from past clients is essential. The National Association of the Remodeling Industry (NARI) is a great resource for finding reputable remodelers near you. Beyond that, most trustworthy businesses will have review listings you can find with a simple online search of the business name on Google, Yelp or Angie’s List. Remodeling a home is a time-consuming and costly process. So when it comes to making sure your home is in good hands, you can never ask a contractor too many questions. Once you’ve narrowed down your list of prospects, refer to the points below to make sure you get to the most essential questions to ask before hiring a contractor. Rick Thomas | Thomas Custom Builders, Inc.
Are they experienced in the type of work you need done? Are they licensed and insured to work in your area? Can they show proof? Will this project require a permit? If so, ensure the contractor is able to get all necessary permits before starting work. Can they share a list of references? When are they available to start on the job? How do they plan to ensure proper safety precautions during the project? Bryce Jacob | J.S. Brown & Co.
Everything you expect from the job, including any promises or guarantees made verbally. Scope of work, including costs. A detailed schedule of all project stages with start/end dates. A list of suppliers and subcontractors. Confirmed contact information and a permanent business address. Confirmation of licensing, insurance and all necessary permits. Any consequences for missing deadlines, going over budget or defaulting on agreement. If any language seems unclear in the contract, speak up and ask questions so nothing in the agreement takes you by surprise. While it’s important to have a contract in writing, it’s equally important to understand what’s not included in the contract. Watch out for contractor bids that include “cost plus” and “time and material” pricing models with no cap on maximum budget, as hidden fees can quickly add up. It also helps to be upfront about your home improvement budget to make sure you and the contractor stay on track financially. 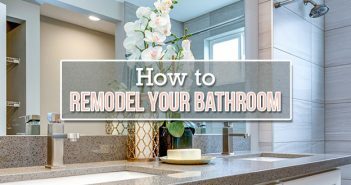 Another valuable tip for hiring a contractor is that the least expensive remodeler isn’t always the best, and a lot of the time, price reflects quality. Review bids from at least three different contractors, as several quotes give you a point of comparison for what’s reasonable to pay for these services in your area. A contractor refusing to provide a written contract. Requests for you to pay in cash or pay the entire cost upfront. The contractor not having a business address. A contractor unable to pull a job permit (they’re likely not registered with the city). If you have any doubts or uneasy feelings as you review these contractor hiring tips, proceed with caution or move on altogether. Chances are, your feelings are justified, and you should be working with a contractor you can trust. Beyond how to hire a contractor, we also have some helpful tips for working with one. First, establish a plan for how you’ll communicate with your contractor, and how often. 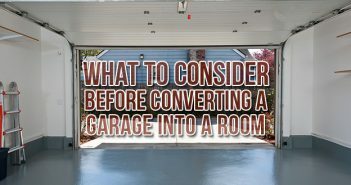 Second, make sure the workers are comfortable and set ground rules for parking, bathroom use and any other issues that may come up throughout the project. Keep an organized folder to track all records, warranties and payment receipts. Schedule a final walk-through to ensure the job is complete and confirm all subcontractors and suppliers have been paid prior to making the final payment. We recommend requesting a receipt marked, “Paid in Full,” for your records when the final payment has been made. 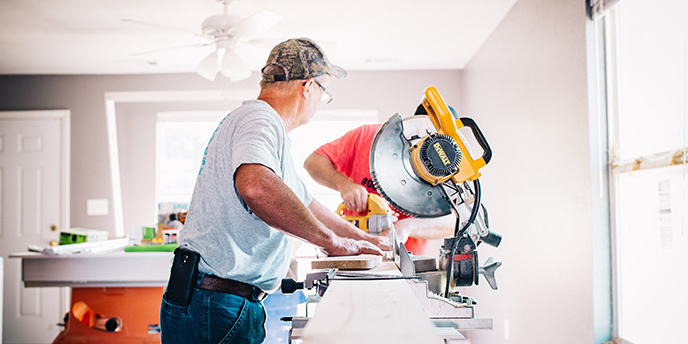 There are many factors to consider when planning for your home renovation project, but by following our hiring-a-contractor checklist, being cautious and following your gut instincts, you can be confident the time and effort put into the project will be worth it. Once you’ve hired the right contractor for the job, check out our post about how to budget for a home renovation. 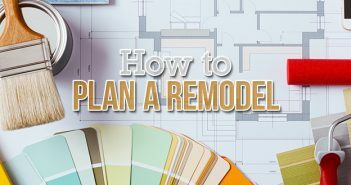 Additionally, you can learn even more about how to find a good contractor and tips for every aspect of your project in our DIY Home Improvement Guide. Do you have any tips for hiring a contractor that we haven’t covered here? Share them in the comments below.